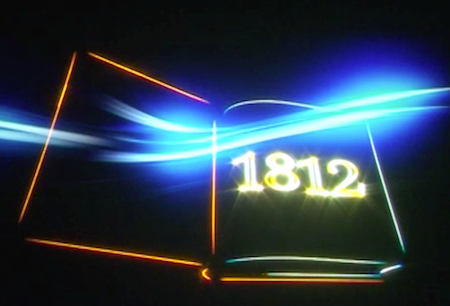 For 2014, ILDA received 204 artistic and technical entries from a record 38 different Member companies. Most of the artistic entries were judged June 27-28 2014 in Las Vegas by a three-member panel that met for two days of review and voting. 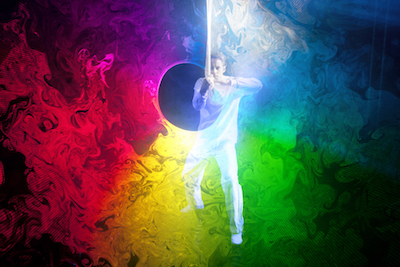 Photography entries were judged by ILDA Members voting online, June 24-July 8 2014. 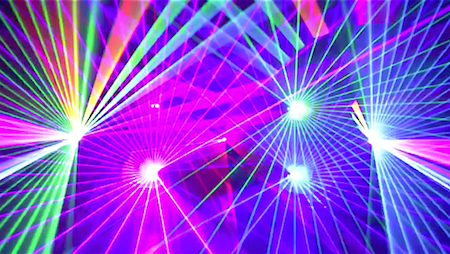 Laser Jockey entries were viewed and judged by attendees at the Lase-Off during the ILDA Conference on November 18 2014. Fenning technical entries were judged via online discussion of a three-member panel in June 2014. For more details on the winners, download the 2014 ILDA Awards booklet (PDF format). The booklet lists all winners and includes a photo from each winning artwork, plus credits and a description of the work. 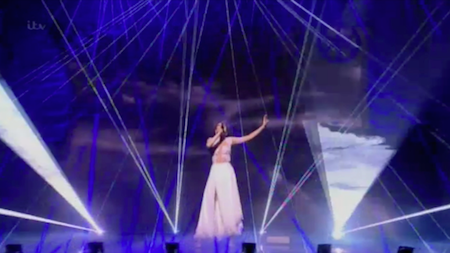 2nd: "New Year's Eve 2013 - Rome", KVANT Ltd.
2nd: "Don't Let Go", KVANT Ltd. Performed live, and judged by attendees, at the ILDA Conference's Lase-Off, November 18 2014 in Las Vegas. 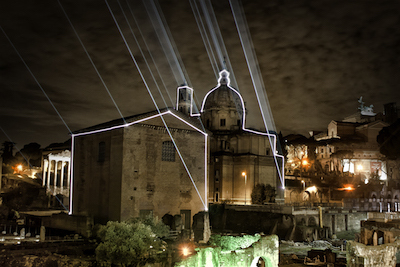 1st: Tim Walsh, Laser Spectacles Inc. 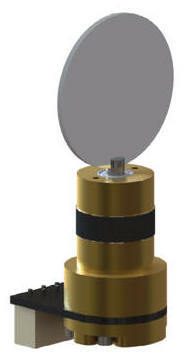 The ScannerMAX Compact 506 is a small, low-inertia galvanometer-based optical scanner capable of driving 3mm aperture mirrors at lightshow scanning speeds in excess of 50K (nearly 5kHz small signal bandwidth and 150 microsecond small steps) with no distortion, as well as being capable of driving mirrors up to 1 inch diameter. The small size, high performance, and yet low cost of the Compact 506 have made it an instant favorite among lightshow and industrial clients alike. The Saturn 1 is a small galvanometer-based optical scanner offering what we believe is the highest speed available to laserists today. 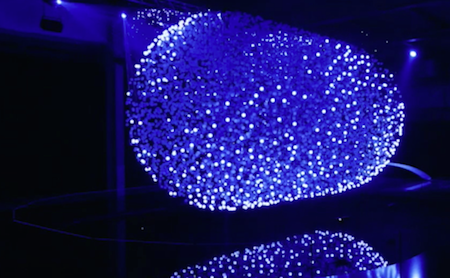 We have publicly demonstrated ILDA 90K at the recent Prolight & Sound tradeshow in Frankfurt Germany, and in the lab and at Photonics West, we have achieved projections with up to ILDA 120K. A fully automated laser projection system, to display the ski jumper´s "best-to-beat" mark during jumping and landing directly on the landing slope. Pocket-size converters that replace the ILDA ISP-DB25 and ISP-DMX cables through standard Ethernet components and Internet Protocol (IP) topology to benefit from isolation, lossless range extension, existing network installations and bandwidth/throughput. 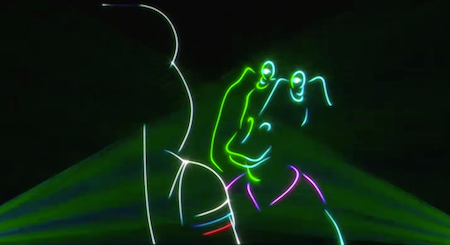 Timothy Walsh, Laser Spectacles, Inc.
Tim graduated with a degree in Music Composition from the University of North Texas, and has always incorporated dance, film, and video into his compositions. 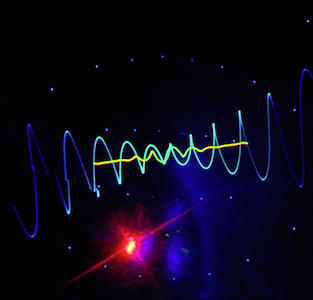 While an undergraduate, he got his start in lasers in 1977, as a planetarium laserist for Laser Creations, Inc. in Texas. He also co-founded Brave Combo, a Grammy-winning band still going today. 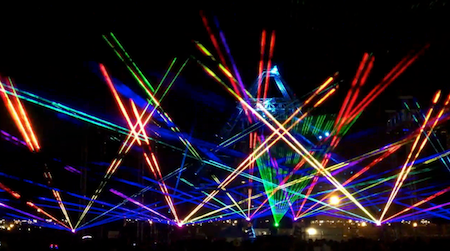 In 1985, Tim formed Laser Spectacles, Inc.. 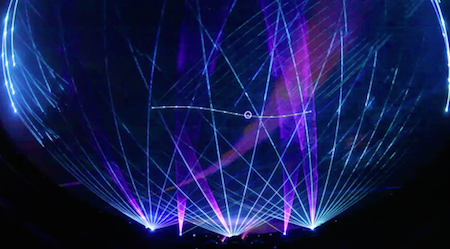 Since then he has performed and installed laser shows world-wide, from churches to raves, corporate meetings to outdoor festivals. Tim is a Founding Member of ILDA, and has been one of the most active Members through the decades. He documented ILDA’s first meeting at Lake Tahoe in 1986 with a diary and audio recording -- still available online at ILDA’s website -- and served on the first Publicity Committee. He has written many articles for "The Laserist" magazine. Tim was Chair of the Awards Committee from 1993-2000 and from 2006 to the present. 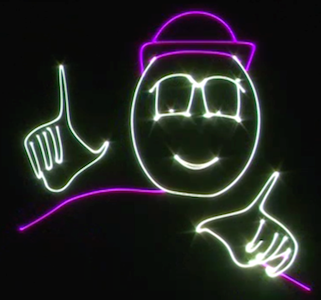 He was instrumental in presenting live laser shows at the annual ILDA Awards Banquet; prior to his tenure, only videos were shown. As Awards Committee Chair, Tim oversees the Awards Categories, plans the lasers at the Banquet and organizes the judging of both the Artistic and Technical Awards. 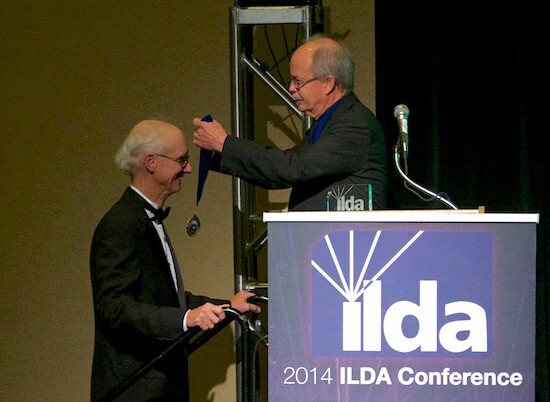 At the 2014 ILDA Conference in Las Vegas, Tim Walsh receives his Career Achievement Award medal from 2012 winner Tom Harman. Additional photos of Tim are on the 2014 Conference Awards Banquet page. Below is the speech given by Tim Walsh at the ILDA Awards Banquet and Presentation, November 19 2014 in Las Vegas, Nevada. 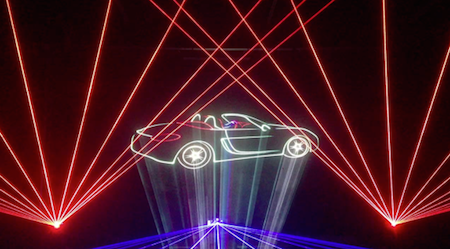 Tonight I will not speak about lasers; we all share the wonder and appreciation of working with laser light. Rather, I will speak of our organization, the International Laser Display Association, and my experience of it. Yes, I was at the original Lake Tahoe meeting in 1986, and took part in the founding of ILDA. I even thought to turn on a tape recorder for the hour long session in which the structure of ILDA was decided - you can find this recording on the ILDA web site and listen to it if you wish; it is amazing how quickly ILDA came together. But the turning point in my relationship with ILDA took place in 1993 when the ILDA President, Steve Heminover, and the ILDA Board send out a questionnaire to all members. The final question was very simple, something like this: "What can you do to help ILDA?" 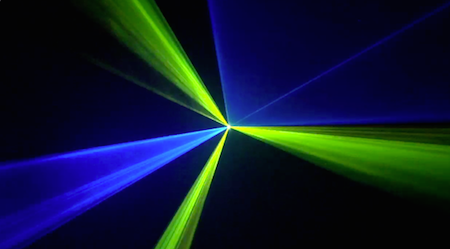 At the time, the main problem for ILDA members was that we spent too much time watching videos at the ILDA Awards and Conference, and we needed to see shows in laser. To answer the question, I decided to apply myself to solving this problem. 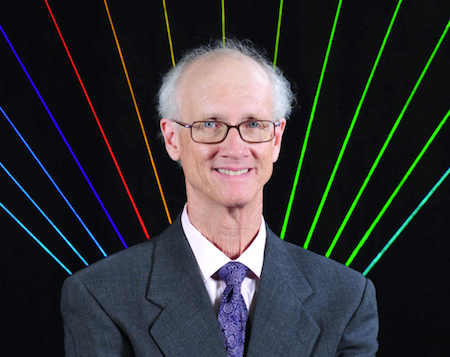 I called up John Goss, the current Awards Committee Chairman, and informed him that I wanted to join the Awards Committee, and that bringing lasers to the ILDA Awards would be my goal. He gladly accepted. In 1993 I arranged for a truckload of equipment to appear at the ILDA Conference in Orlando. 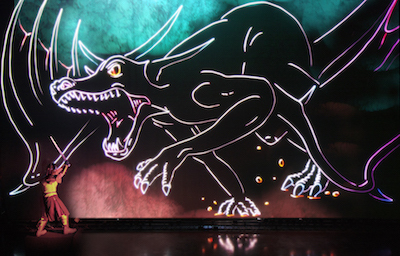 We just projected two channels of graphics onto a big rear screen, and it was a step in the right direction. This was an important time for our industry - Cambridge 6800 scanners were being accepted as the new scanner standard, and so were PCAOMs. 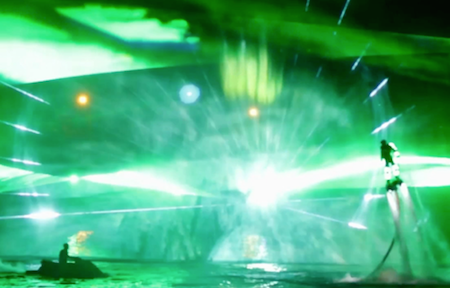 Argon and Krypton lasers were now combined into one tube - the long awaited "white light" laser now existed. ILDA's use of ADAT tapes was just beginning. At this conference, John Goss stepped down, and I became Awards Committee Chairman. Well, this decision to help ILDA made a big difference in my life! Now I was helping to organize the Awards, contacting leading laserists and companies all over the world via phone and fax, and trying to arrange their award winning performances at the annual ILDA Conference. I will never forget the first time that we had a "smoke and mirrors" show at the ILDA Awards - it was 1994 in Lincoln, Nebraska - the winning entry in the category that we now know as "Beam and Screen Show" was by Laser Promotions from the Netherlands. 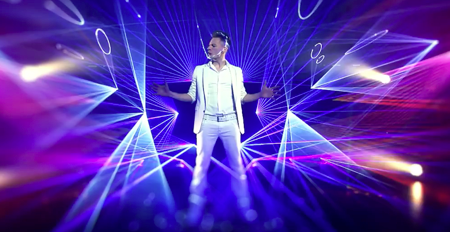 Ton Timmerman brought over a special fiber projector head, and his scrim; we added 24 mirrors, and he performed his winning entry "Vogue" by Madonna - I still feel goosebumps thinking about it. And then I carried out my racks of mirrors and diffraction gratings and performed my MIDI-triggered show "Drumbeams" for the LaseOff. 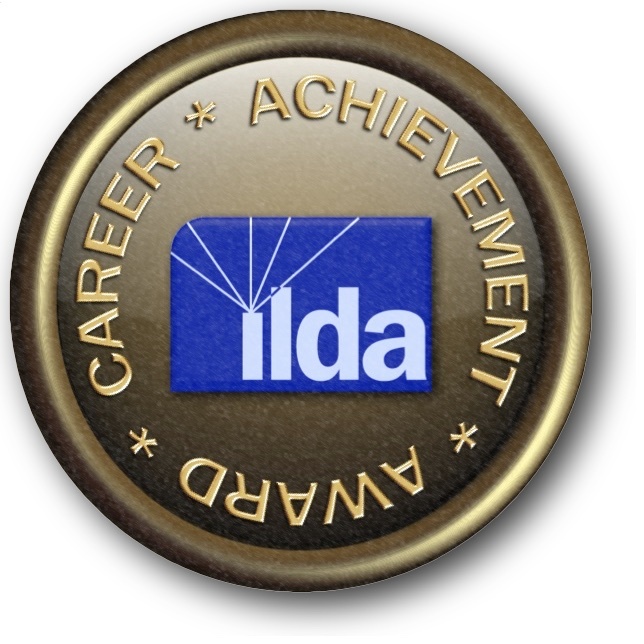 Overall, my experience of ILDA has been a wonderful enrichment of my life. I have a worldwide network of laser colleagues that I can call upon for assistance and support at any time. I am proud to receive this award, and thank you all for your support of ILDA and my efforts on its behalf, this means so much to me. Think about answering the question yourself - "What can I do to help ILDA?" Your life may change just as mine did! And finally, I thank my wife, Helen, who has supported me throughout the years of long nights that it takes to be a successful laserist. Without her by my side, this all would not have been possible.